“The sorrow and happiness of each individual soul begins at the foot of the cross. It is well or ill with us according as we are in harmony with [Jesus’] Passion…. [T]here is no earthly object of any real abiding value to us compared with the Passion of our dearest Lord. All is dross compared with it…. In the uttermost distances of our eternal life, where in truth there are no distances, it is the Passion which will still support us, the Passion which will keep the vision open, the Passion out of which the inebriating torrents of God’s splendor will still renew our souls. The Passion rules the history of the world. Thus it is also the secret of all biographies of individual souls. All their ruin comes from their disloyalty to the Passion. All their holiness in time, and their glory in eternity, are the consequences of their loyalty to the Passion. Jesus Christ and Him Crucified – this is the object of our present contemplation. As we grow older we set a greater price on fidelity; and where is there such faithfulness [and such indisputable proof of God’s love for you] as in the Cross? Devotion to the Passion is at once the surest sign of Predestination, and the shortest road to heaven. Happy are they whom the cruelty and treachery of life have driven to the Cross”(emphasis added). This quote of Father Faber is taken from Notes on Doctrinal and Spiritual Subjects, Part 1, pages 223-232. The quote is edited and is not in the order it was written. I have rearranged some of the sentences and paragraphs to facilitate this short excerpt. Father Faber was preparing a book on the Passion, which he did not complete, and these notes were from the beginning of that unfinished manuscript. 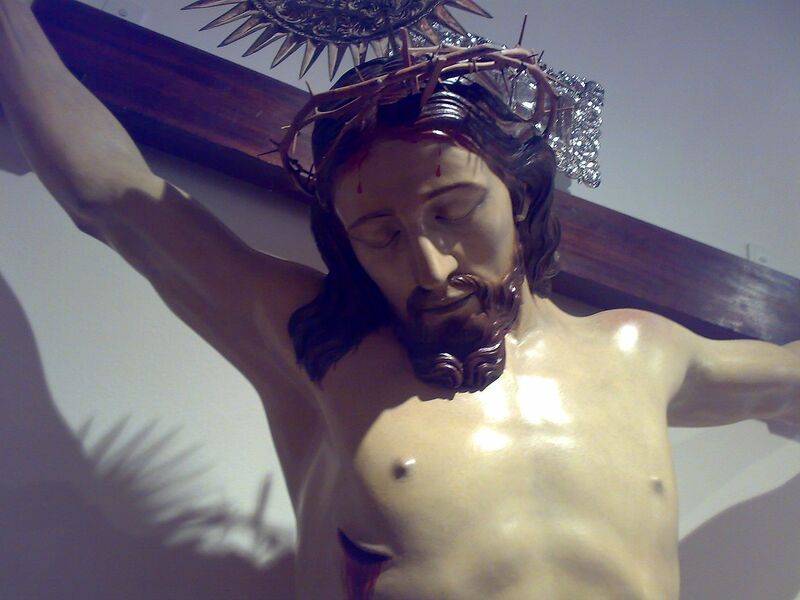 The crucifix in your home is of tremendous value. Spend a few minutes each day in Lent looking at our Lord on the cross and thank him for having come to save you – yeah, you! If directed by your heart, kiss your crucifix and tell the Lord how dear He is to you. In this life we look at a ton of useless images: we ought to be looking at the crucifix! Have Mercy on us and me the greatiest sinner in particular Praise, Houner, Glory and Thanks To You Amen.